As the pasta cooks, whisk the eggs in a mixing bowl and stir in the grated Pecorino Romano cheese well to ensure a smooth consistency. 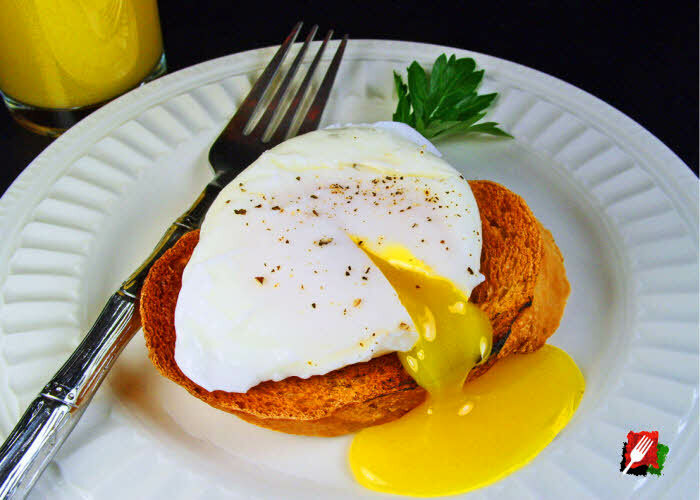 If you aren’t topping each dish with a poached egg, include an extra egg yolk to the mix for added richness. Add a generous amount of freshly ground black pepper, then set the bowl aside. Heat the olive oil in a large pan over medium heat. Add the pancetta and stir occasionally for about 3 minutes until the fat is rendered and the pancetta starts to become crisp. Turn down the heat to medium low and add the garlic for another minute to soften. Stir continuously to prevent the garlic from burning. 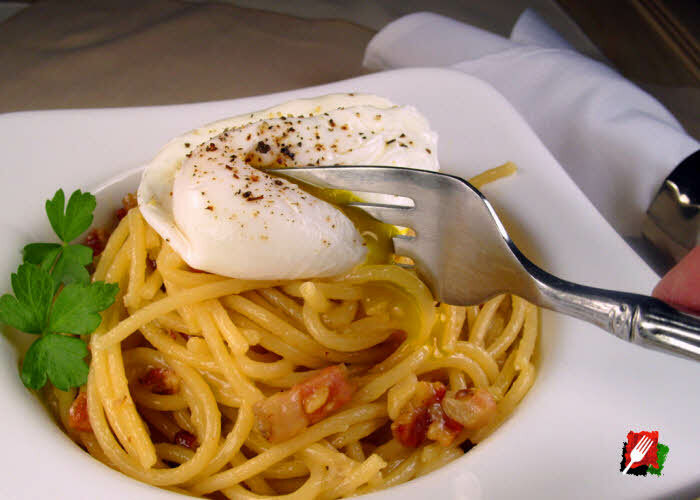 When the pasta has been cooked al dente, use a pasta fork or slotted spoon to move the moist pasta directly into the pan, turn off the heat, then toss for a minute or two, to thoroughly coat the pasta with the olive oil and pancetta juices. 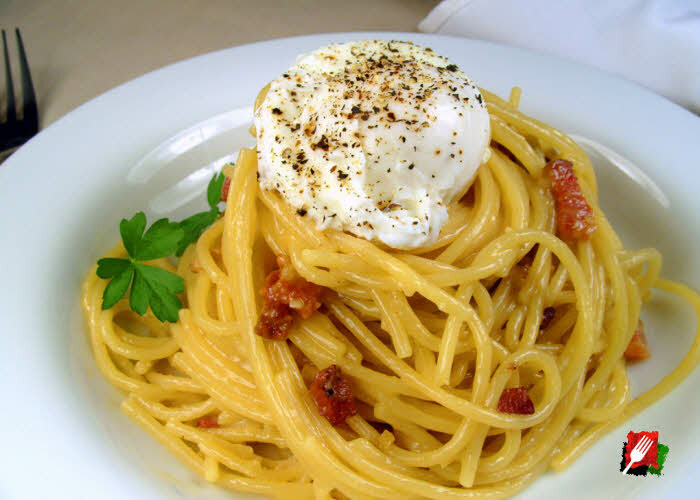 Reserve the pot of pasta water to optionally poach the eggs. Retain about 1/4 cup of the starchy pasta water and set aside. With the pan off the heat, vigorously stir in the reserved egg and cheese mixture with the pasta until it thickens without scrambling the eggs. Add a tablespoon or two of the pasta water if needed for added creaminess. Drizzle the remaining tablespoon of olive oil over the pasta and toss all of the ingredients thoroughly for another minute or two until the pasta is thoroughly coated. Plate with a light sprinkle of freshly shredded Pecorino Romano, parsley garnish, optionally top with a poached egg, and a little more freshly ground course black pepper.